The ultimate car racing simulation has arrived on the PlayStation 3 with Gran Turismo 5 Prologue, giving PS3 gamers a taste of what's to come in the world's most definitive car game. Graphically, Gran Turismo is one of the most realistic games on the market and with the introduction of Sony's DualShock controller for the PS3, the gameplay is almost perfect... almost is the keyword. 24-position realtime adjustment dial: Fine-tune brake bias, Traction Control System (TCS), and other settings on the fly for unprecedented control over your car's performance. 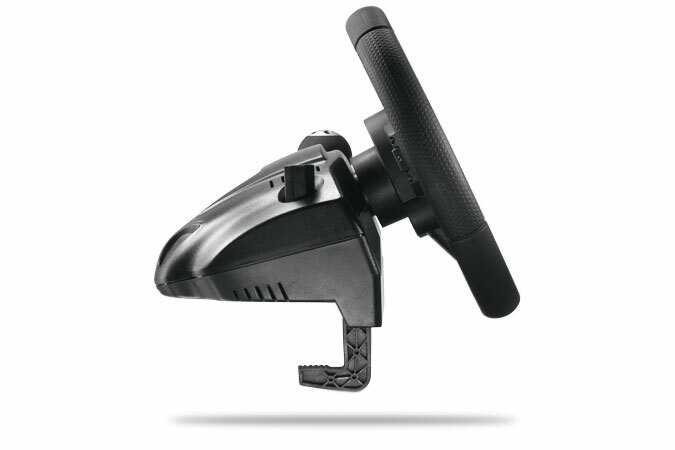 900-degree wheel rotation: Go 2.5 times around lock to lock, just as you would behind the wheel of many real cars. Force feedback technology: Feel every inch of the road for maximum control and the ultimate racing experience. 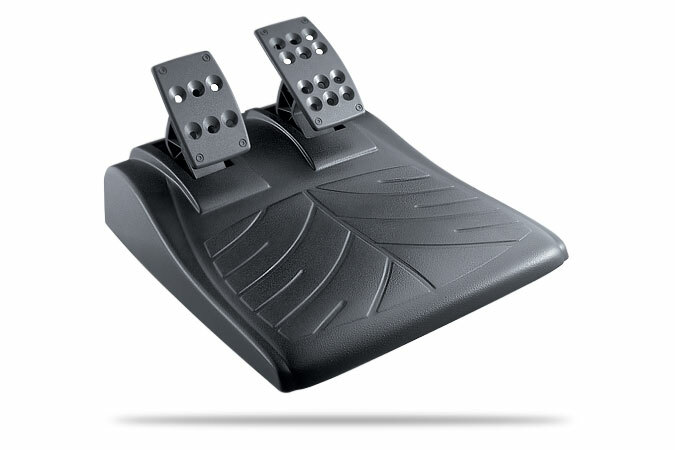 Gas and brake pedals: Get precise throttle and brake response with true-to-life pedals. Sequential stick shift: Go through the gears for the ultimate in control. Rubber-overmold rim: Enjoy a comfortable grip during intense races. Solid, one-piece wheel construction: Drive with confidence knowing this rigid, sturdy wheel won’t squeak or flex during aggressive maneuvers. 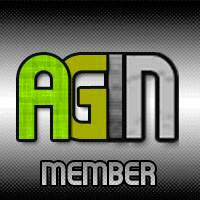 Custom tuned for popular games: See and feel every bit of wheel movement reflected in-game, without dead zones or lag. Ultra-precise optical encoding: Experience reliable and accurate handling race after race after race. 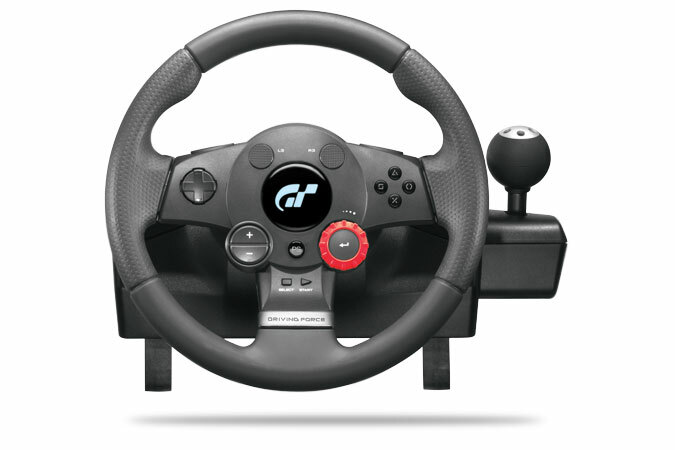 However in order to take the game to the next revolutionary level, a steering wheel is required and Logitech have introduced the Driving Force GT which has been exclusively created for the Gran Turismo series and also other racing titles which almost makes you feel you are part of these high powerful super cars and in total control. 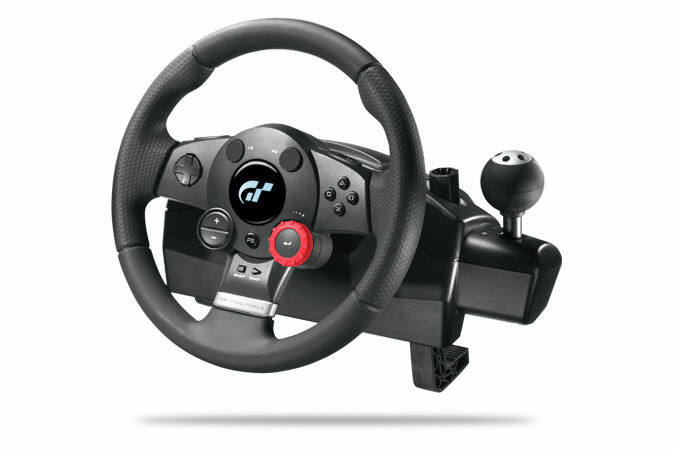 The first impression of the Logitech Driving Force GT is the design of the wheel which is quite sturdy and would not feel out of place in a luxury car. With that said, the installation of the Driving Force GT was a breeze and it simply connected to a spare USB port on the console (the wheel also supports the PlayStation 2) with the device also needing an electrical outlet to power the unit. The installation was that easy! The unit also comes with a six-speed shifter, metal pads and even a clutch that assists in the realism and transformation of the gamer into racing drivers on these virtual speedways. Logitech have also added a real-time adjustment dial which gives you access to a variety of different settings. Driving with the Logitech Driving Force GT was bliss on Gran Turismo 5 Prologue as you can feel the traction, speed and control of these high performance cars as you competed on these wondrous and exotic tracks. There were no control issues whatsoever, the device was perfect and have us full control of these cars, although crashing was a different story and was driver error. Even though the new DualShock controller on the PS3 was impressive with the game (Gran Turismo 5 Prologue), it was nothing compared to driving with Driving Force GT and is truly a professional yet entertaining gaming wheel. Match that with the inclusion of "DualShock" on the Driving Force GT and every bump and crash made the gaming experience quite realistic. In conclusion, Logitech have a winner on their hand with the Driving Force GT that once again revolutionizes the gaming market with a realistic and sturdy gaming wheel. 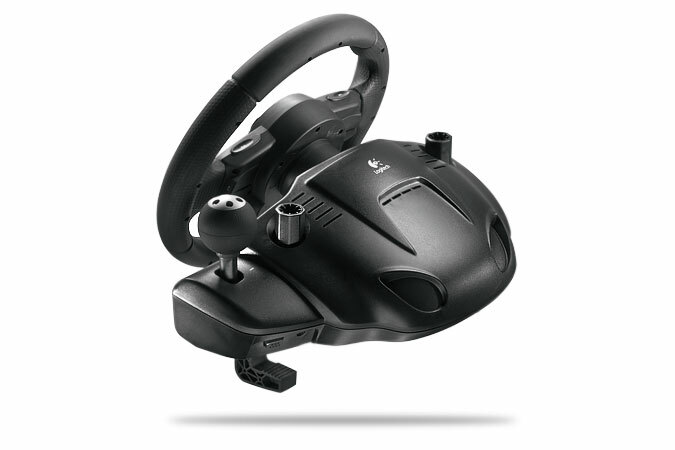 With a recommended retail price of $249.95 that is available at all good gaming stores, the Logitech Driving Force GT is a must have piece of equipment for the PS3 gamer and gives you the most realistic racing experience on a high end console. 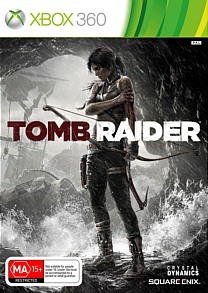 The future of racing has arrived on the PlayStation 3.